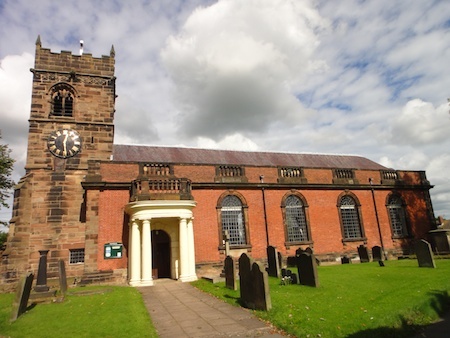 Wolverhampton, Stafford, Cannock and finally Gnosall! We’d left Sunday as our main caching day this weekend and with the snow finally melting, we were looking forward to a full day out and some proper caching, rather than having to pick and choose caches near main roads to avoid the worst of the snow. We planned to start with the new caches to the NW of Wolverhampton not too far from the in-laws house, before heading up through Penkeridge to Stafford and picking off two new series there. 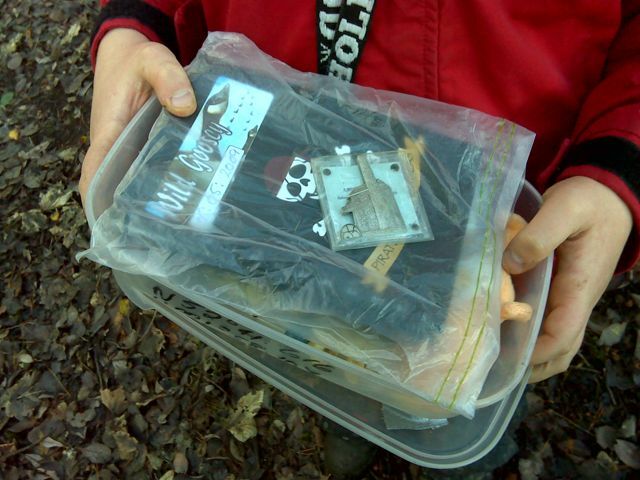 Finally there were 3 new caches between Stafford and home, to bring the total finds for the day to about 30. The first caches were a set of 3 on a short walk over some fields not far from Chillington Hall (where we found our first ever cache!). All nice an easy and totally un-eventful apart from me scraping my head against a tree and getting a bad graze. Ouch! 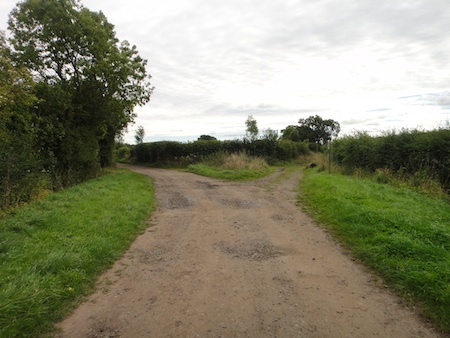 A quick drive-by followed, on the way to a nice looking circular walk called Ned’s Walk which was along bridleways and canal’s just to the north of Wolverhampton. We parked up and got the bikes out of the Jeep as we’d seen several other caches had done the series by bike. As we rode up to the first cache we could see 3 cachers stood by it with the cache. It was Shropshire Seekers, Big Farmer Giles and Wild Goosey. Great to meet you all again :-). Wild Goosey insisted on us turning our backs while she re-hid the cache for us to find. I might have had a quick peek over my shoulder as we soon found the cache ;-). 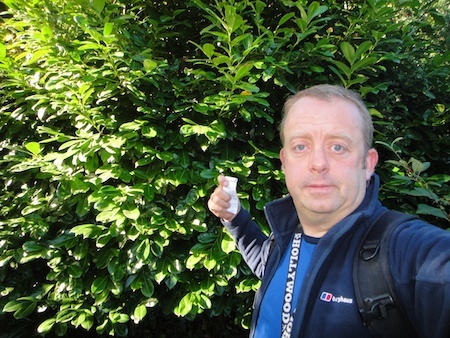 We then all walked up to the next cache which was a quick find by Big Farmer Giles. We left them all to carry on at their own pace and headed off ahead on our bikes. The rest of the caches were quick and easy finds apart from one where the co-ords were about 25ft out. The main problem here was the co-ords took you to a place that matched the hint perfectly – it’s just that it was the wrong place! On the way round we bumped into the Nozi Parkers who were doing the series in a different order than the others we’d met earlier. Once back at the Jeep, Isaac guided us up to Penkeridge for the two closest to Grandpa’s house not founds. Both really quick finds and one of them was our first non-micro of the day – woooohoooo :). What’s with all the micro’s today :-(? In Stafford we headed off for the strangely named ‘Over-un-under-um’ series (what the heck does that mean?). 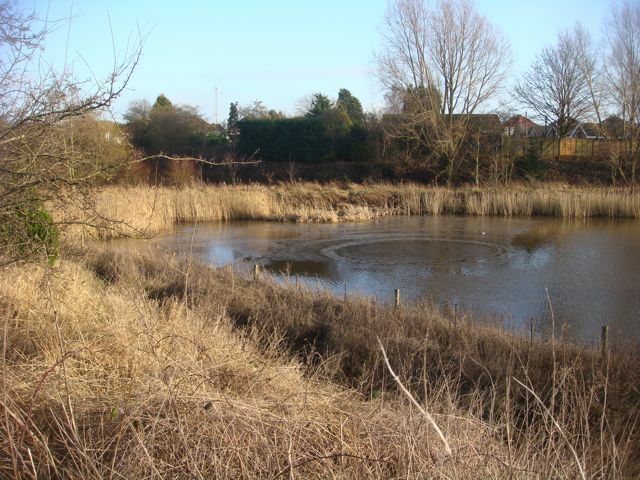 This is a circular walk around a flood plain by the River Sow, continuing on to a canal at the far side of the walk. 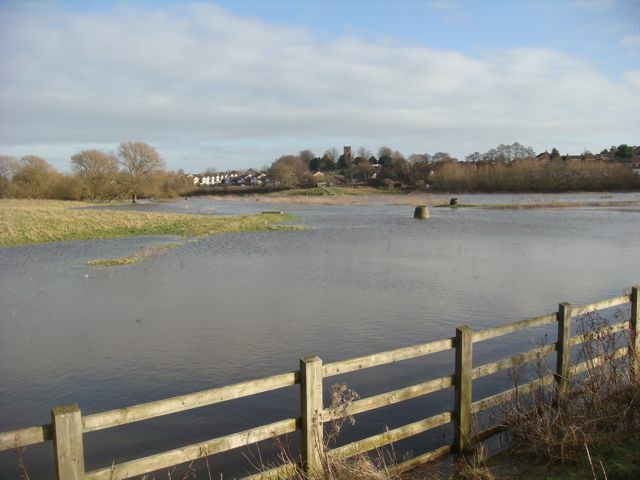 Needless to say with all the snow melting the flood plain was under quite a bit of water and the first three caches were impossible to get to without a boat. We decided to try the other side of the loop and see how many we could get to. Luckily the path was much higher up on this side and we had no problem cycling off for 3 finds and 1 DNF (the cache was missing). On the way we bumped into BigCe, a local Stafford cacher who we’d not met before. Great to meet you :-). 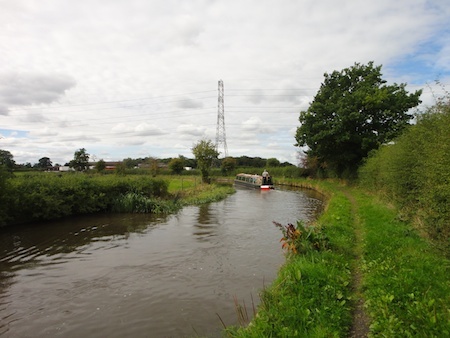 We then re-located to the other side of Stafford and the other strangely named series, the ‘Clog & Knocker’ series. This time the cache page explained that it was named after the local nickname for the old Stafford to Uttoxeter railway, along which the series is set. 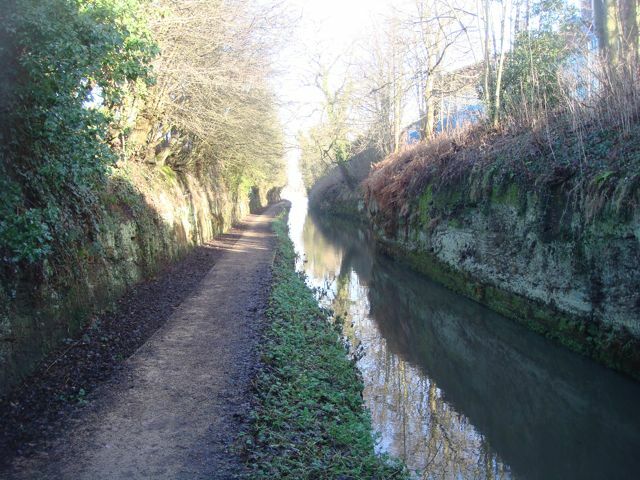 We set off on our bikes along the cycleway for the 6 caches in the series. All nice quick finds, but well hidden which is good as the cycleway is seriously busy with muggles at times. Along the way we bumped into WiliamTM – another local Stafford cacher we’d not met before :-). We saw that snerdbe and cannonedwards were also doing the series but did not bump into them unfortunately. Once we’d finished we realised we were short of the 30 finds we had planned for due to the flooded caches we had to abandon earlier. 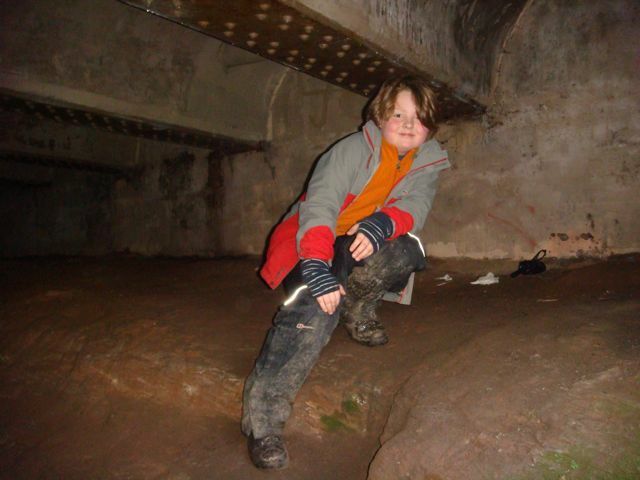 A quick check of Memory Map revealed a conundrum – we’d done all the other caches in the area! Hmmm!! We ended up back on the M6 heading south to the Cannock area as there were a few quick caches we’d not yet found there. Nothing much to report here as they were all easy enough. The last one (which was to be our 30th find) was down a bridleway and a short walk later we were looking for it. I’m not sure it’s still there as we had a good search and it was nowhere to be found. Drat! There are also no other nearby caches we have not already found – one of the pitfalls of caching in an area we frequently cache in. We decided to start heading for home and do a new cache by the canal at Gnosall for our 30th find. It was totally dark by the time we arrived at this one and despite searching for something like 40 minutes on a very slippery canal banking with tons of places to hide a cache we could not spot it. I bet it’s dead easy to find in the daytime too (see a later blog post as it was indeed really easy to spot in the daytime!). That’s 29 finds for the day but a good day out nonetheless and possibly a record for the number of caching teams we’ve bumped into in one day – 6 in total :-). After our trip into Birmingham yesterday, we were not quite cached out for the weekend so decided to go out today as well. Isaac was free so was keen to come along. 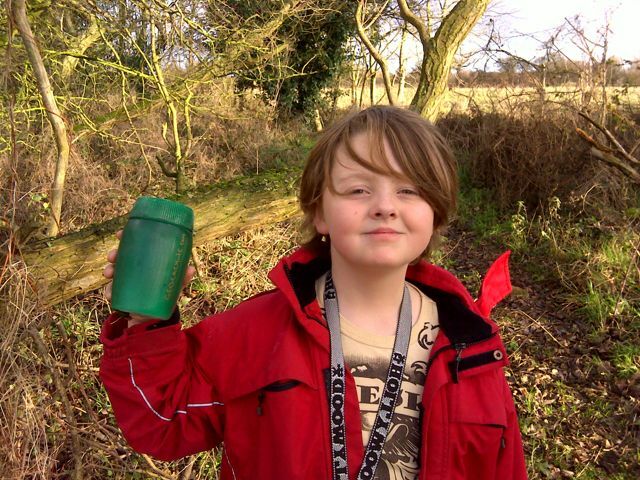 We started off near Codsall at the new Monarch’s Way caches. 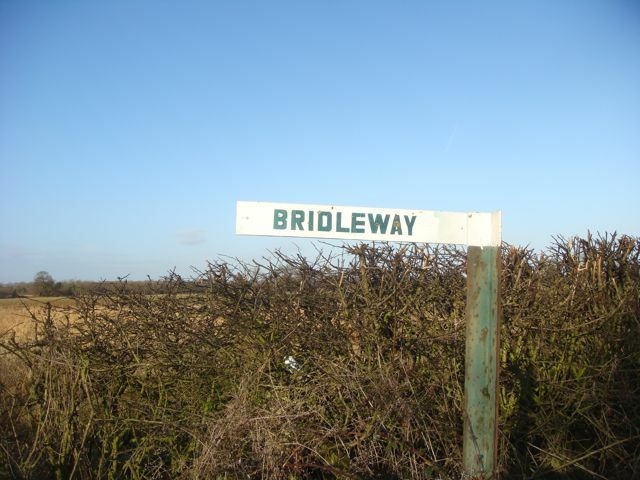 After parking up where we did for the old The Washers caches that used to be down this bridleway, we set off on foot. The first cache was an ammo box and we soon arrived in the obvious area that you’d hide an ammo box in. The GPSr’s both thought differently and said we were 70ft out. We tried to trust our GPSr’s but they took us to somewhere where there was no place to put an ammo box. We returned to the first area and soon found the cache. I’ve no idea why the co-ords are so far out on this one as the rest of the caches by the same cache owner were bang on. We carried on down the muddy path to pick up the other 3 caches along here, before re-tracing our steps to the Jeep. After re-positioning to nearer to the next cache, we walked over the field to GZ and another quick find. A very unusual cache container too – it was called ‘This boot was made for walking’. I bet you can guess what the cache was in ;-). 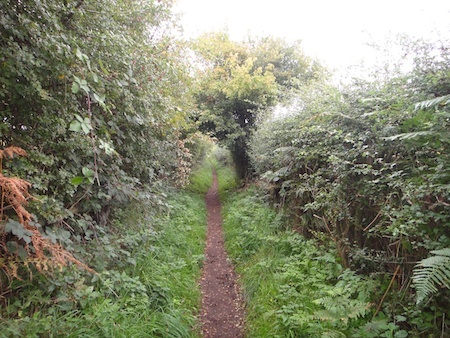 The next two caches were just down the lane so we were soon walking up the fields to find them. The second one of this duo had some great views over towards Wolverhampton. Isaac spotted the Molyneaux, which he liked seeing as he’d been to the match there (Wolves vs Bolton) with his Grandpa after school yesterday. 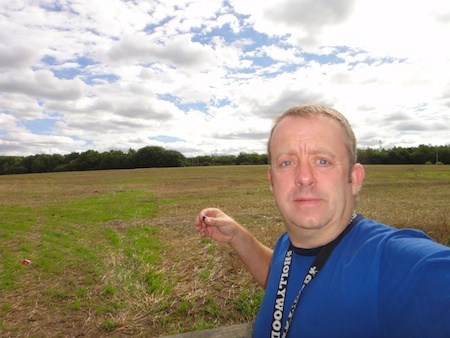 Next on the target list was a series around the Rough Wood area near the M6 on the east side of Wolverhampton. Isaac enjoyed guiding us along the roads to the parking area using Memory Map. Out came the bikes and off we set. 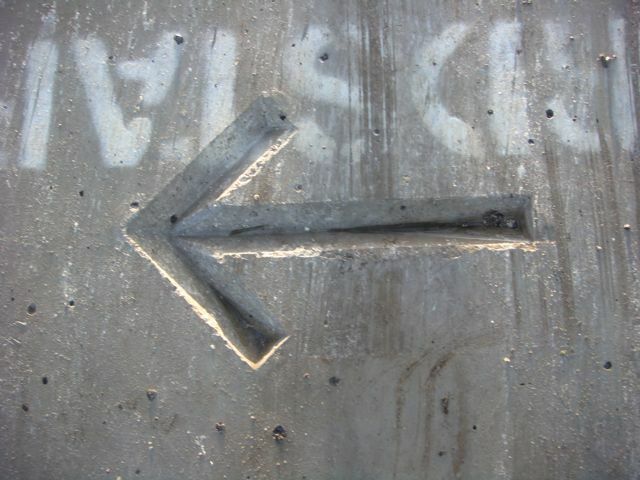 Our main target in this area is a series of 8 caches, collecting a clue from each to find the final bonus cache. Along the way there were two other caches to find. The series was nice and easy but we had a DNF on one of the extra caches. The hint lead to an obvious place but despite a good search, we could not spot the cache. 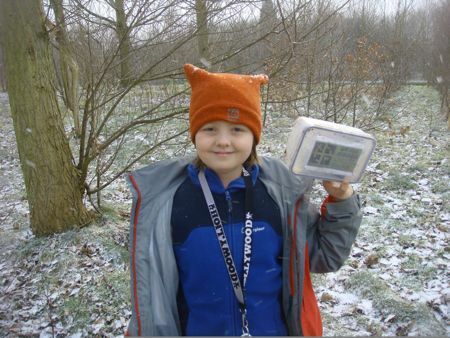 We were having great fun as we went round the series as each cache had a clue A = ?, B = ?, C = ? etc etc. Isaac started singing the really funny Black Country Alphabet song (well, we are in deepest Black Country here after all!) and we ended up doing it on and off for the rest of the day as it’s REALLY catchy :-). After we’d finished here, we decided to head up to Cannock Chase to do Wild Goosey’s series of 6 caches around the old Bleak House mining area. We’d promised the cache owner we’d go and find her caches here ever since they came out so it was good to finally get to do them. On the way, we stopped off at Sidetracked Bloxwich to see if we could find it as we had a DNF on it the last time we were in the area (it was muggled at the time). The new hiding place was clear but the cache was nowhere to be seen. I guess this is just one of those caches we’re destined never to find! We soon arrived at the start of Wild Goosey’s series and found we had the car park to ourselves. Off we set, but failed to find the first of the caches. The logs said it was near the path but the closest we could get on the path was 80ft from GZ. Either we’re looking in the wrong place or the co-ords are way out (it was heavy tree cover so this could be a possibility). We gave up and decided to look for it on the way back. The rest of the series was nice and easy, with some great views over the area as the walk was on high ground. We dropped off a lovely Cornish Tin Mine geocoin in one of the caches. It’s mission is to visit historical mining areas, so this place fitted the bill perfectly. On the way back to the Jeep, we stopped to look for the first cache again. Nothing was to be found near the path so we decided to finally trust our GPSr’s. After a climb up through a brambly area, we were zero’ing out at an area with a very rough path through it. I wonder if this was the path other people have referred to in their logs? It was an we soon had the cache in hand. On the ride down to the first one, we were passed by a steam train along a railway we’d not spotted near a road. We never knew they had working steam trains around here so that was a lovely surprise. The first cache was a no-go though as GZ was these huge stanchions filled with rocks. The cache was a micro with a hint something like ‘under three small rocks’. Talk about a needle in a haystack! We made an executive decision and moved on to the next cache. Thankfully this was a really easy find, which was exactly what we needed at this stage. Unfortunately that was the last find of the day as we had to get going to see Freya’s show now, otherwise we’d never get there in time and the stage school shuts the doors promptly and won’t let you in if you are late. Freya’s show was wonderful and she did a fab job (very proud Dad here :-)). 24 finds for the day, which is less than we usually get, but we did start quite late and finished quite a bit earlier than we usually do. We were due at the in-laws for a nice Sunday dinner today but could not resist taking the ‘scenic’ route via the north side of Wolverhampton to bag two caches that have been on our radar for way too long. 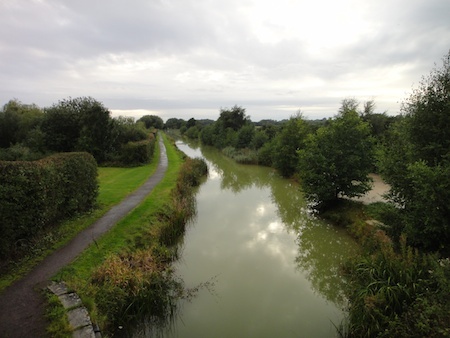 The first one was near Autherly Junction, where the Shropshire Union canal meets the Staffordshire and Worcestershire canal. Mrs Bolas Heathens has been tracing her family tree and one of her ancestors, about 3 generations back, used to live in the lock-keeper’s cottage here, so it was a nice excuse to have a look at that too. The cache was a quick find by Isaac, while all around the snow was falling. It had not been snowing at home, but the closer we got to the area the cache was in, the heavier the snow was. The second cache was by one of the junctions just before the M54 meets the M6 and is a location we’d been to before for the cache’s predecessor. Another easy find was had by Isaac. Now, just a short drive to the in-laws and a HUGE Sunday dinner awaiting us. Perfect :-).